As summer is wrapping up, today marks one of the last days for sweltering heat in the Waterloo and Guelph region since showers and cooler temperatures are moving in tomorrow. So make the best of summer while you still got it! Hopefully you’ve crossed some things off your “Summer 2015” bucket list. Perhaps you went to one of the many music festivals that happened this summer such as Boots & Hearts, Veld, OVO Fest, or even Osheaga? Some music festivals this year had some controversies regarding shootings or banned attire. In fact, this year Montreal’s Osheaga Music and Arts Festival had a zero tolerance for the cultural appropriation of First Nations headdresses. On their website beneath the customary rules and regulations there is a complete list of items banned from the festival ideas, including laser pointers, fireworks, selfie sticks and this year traditional First Nations headdresses was finally added to the list. I had talked about this topic in the past, but this time I’m writing not about the cultural appropriation but rather focus on First Nations culture and how to enjoy and respect their culture under the right circumstances. 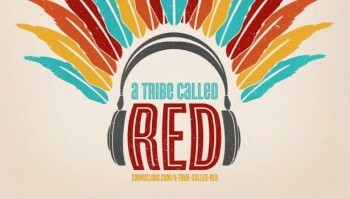 Specifically, for this Wednesday I played the song ‘Electric Pow Wow Drum’ by A Tribe Called Red. This beat is hot much like today’s weather! 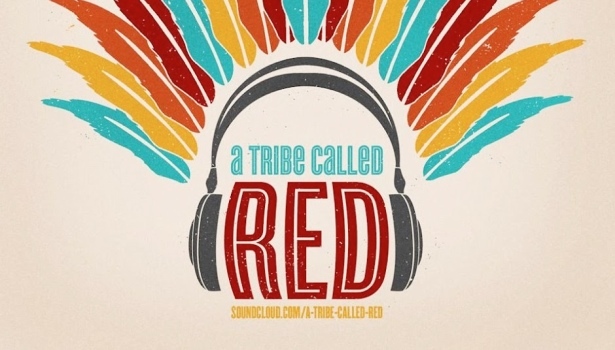 A tribe Called Red is an electronic music group from Ottawa, Canada! They effortlessly blend traditional First Nations sounds of vocal chanting and drumming with other sounds like hip hop, reggae and dubstep. If you haven’t heard of them, I recommended adding them to your summer playlist this year!